Freeze Your Credit For FREE! Everyday we place our personal information in the hands of companies and trust that they will keep our personal information protected. We swipe our credit cards and debit cards at retailers, we provide identifying information to establish online accounts with social marketing applications and in placing online purchases. Our healthcare providers, utilities and communications providers all require personal information to establish accounts. Bank On encourages citizens to protect their identity, but what happens when the companies we do business with don't protect our information? These hacks make us more and more vulnerable to identity theft. If you want to have greater protection for your identity, here is some good news: on May 24, 2018, President Trump signed the Economic Growth, Regulatory Relief and Consumer Protection Act into law. This law enables you to request a free credit freeze for anyone requesting one after September 21, 2018.
Credit freezes protect identity thieves from opening up an account in your name. Credit freezes prevent a credit reporting bureau from releasing your credit information to a third party, so new accounts cannot be opened without you taking a positive action to release the freeze. 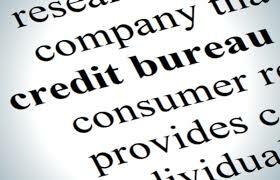 Currently, state laws govern the establishment of a credit freeze and it can cost up to $10 for each credit reporting bureau to. This new law makes freezing and unfreezing your credit free. To learn more about these new protection visit www.ftc.gov and search for "credit freeze". Protecting your good name will soon be free!